Search engine optimization (SEO) is one of the most misunderstood areas of digital marketing, especially among small business owners. To be honest, that’s because it’s also one of the most misrepresented. Is SEO complex? It can be. Are there different strategies and approaches? Of course. Is there a “secret sauce” for being successful? Absolutely not. 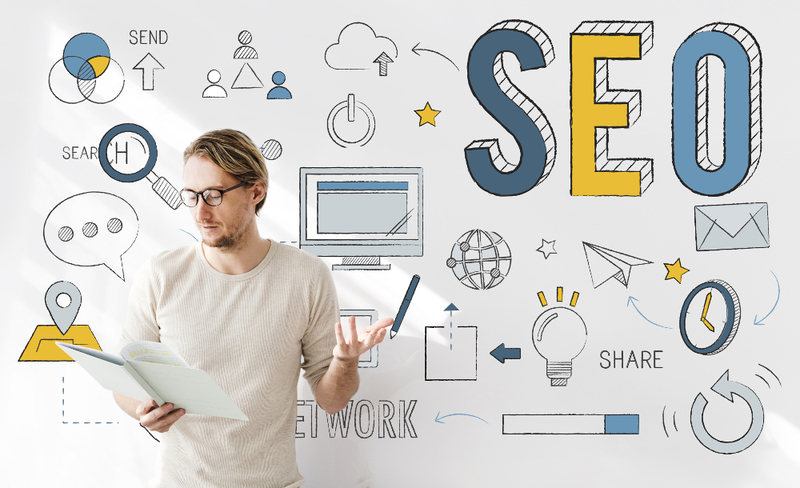 While many digital marketing agencies and SEO consultants will tout their tactics to be mind-blowingly intricate and Earth-changingly brilliant, the truth is that SEO is a relatively black-and-white service – or should be, at least. If someone is selling you an SEO campaign that feels mysterious or indeterminate, you’re likely going to be disappointed by the results (or lack of). Let us clear the fog and shine a flashlight through the SEO tunnel for you. Cooking and baking are not the same. Cooking allows for spontaneity and creativity – a dash of this, turn the burner up a little on that. Baking, on the other hand, is more of a long haul, stick-to-the-recipe endeavor. You know exactly what you’re doing from the start, and you don’t really deviate from the plan. With this comparison in mind, we liken SEO more to baking than cooking. Not to undermine our own expertise, but foundational SEO is not a game of innovation. It’s more a matter of developing your recipe, and then following the steps to achieve your desired results. Since millennials are the first generation to have grown up in the digital age, many have found their niche in digital marketing and SEO. Digital marketing is one of the most in-demand skillsets heading into 2018, enabling those with knowledge and experience in this arena to go out on their own and essentially talk their way to contracts. In turn, clients get oversold (and some downright duped) into high-cost, long-term “packages” that don’t deliver meaningful leads. One of the easiest ways to get hired as an SEO or digital marketing agency in San Diego is to make SEO sound so immensely complicated that the prospect becomes overwhelmed at the mere idea of trying to figure it out themselves. That’s simply not the way we pitch here at Kameleon. We don’t bill our SEO success as magic, because it’s not. It’s a combination of strategy, implementation and close monitoring. The next time an “SEO guy” spins your head in circles talking about the minutia of the trade, ask them to walk you through a case study instead. One of the biggest, brightest red flags from an SEO company is a guarantee to get you on the first page of Google. Search engine optimization is a relatively level playing field. We’re all studying the same algorithms and vying for attention from the same Google “robots” that crawl websites to determine which ones will rank where. No one knows any secrets. There is nothing wrong with aiming for the top spot, especially if you’re willing to be patient and find value in keywords and phrases with lower competition. But, understand that the only thing an SEO company can truly guarantee is improvement – and yes, we can indeed guarantee improvement when we are able to set and stick to a white hat strategy from the ground up. Speaking of “white hat,” that means fair-and-square. The types of SEO companies that promise first page results are usually the same ones who resort to “spam linking,” which is the evil spawn of a legitimate and important tactic called backlinking. True to its name, a backlink is when another website links back to yours. Backlinks help your SEO because they tell Google that other people have found your content to be relevant and useful. Backlinking is similar to public relations in that it requires us to build relationships. We’re contacting bloggers, publications and thought leaders in your realm of business, and encouraging them to check out your website. The nudge and hope is for them to see value in your content and link to it within theirs. Because backlinking is tedious and time-consuming, some SEOs resort to spam-blasting every forum, message board and comment box they can find. They plop in your link and that’s it. “Gray hat,” they might call it, implying that it’s not wrong but not necessarily right. Regardless, not only does it not work, it reflects poorly on your brand. Avoid spam linking at all costs. When you have an SEO campaign in place, it’s important to receive and review an analytics report monthly. Remember when we said SEO was like baking? The monthly report is like opening the oven every hour or two to see how things are coming along. You’re probably not going to make any drastic changes, but you do want to be able to adjust your strategy if needed. SEO takes time to show results – and we say that’s a good thing, because it allows us to measure and refine incrementally. Our monthly reports are just as much for our sake as that of our clients. They help us see where we were, where we are, and where we’re going. They also keep us consistently active and engaged so we can continue to deliver a great client experience. How Long Should SEO Take to Show Results? Search engine optimization is not a light switch; you don’t just flip from off to on. That said, you should expect to start seeing results within a reasonable time frame. The sweet spot for gaining momentum with an SEO campaign is 6-12 months. Don’t sign a contract for longer, and don’t yank the plug sooner. If you stop before the 6-month mark, you’re not giving your investment a chance to mature and grow. First, we consult with you to understand your industry, company and objectives for your digital marketing. Our takeaways enable us to perform competitive research and a complete website optimization audit. We also develop what we call a “keyword matrix,” which is like a blueprint of which keywords your business should target in its website copy, blog content and online advertising. Next, we walk you through everything we have compiled to ensure our strategy aligns with your goals. Our recommendations are objective and always subject to your input. SEO should be synchronized with your brand identity and image, which is why we bring our clients into our strategic planning from the start. Once everything is approved, we work with you to implement the strategy efficiently and cost-effectively. From there, the name of the game is analytics. We talked about the importance of monthly reporting; you can expect us to deliver those reports proactively, with the right combination of deep data and key takeaways. Our reports are digestible, actionable and insightful. Sound like the type of SEO you can get onboard with? See an example of our SEO work, and contact us for a free discovery session! Have you considered hiring one of the many marketing agencies in San Diego for your small business? Deciding which one to trust can be a challenge, and there’s a lot to factor in. Don’t just go for the flashiest “creative agency” you come across; most small businesses need marketing strategy more than creative services. In this post, we’ll provide you with some information that will help you make the right choice for your marketing needs. Many people lump advertising and marketing agencies together, associating them all with the popular television show, Mad Men. They think we’re constantly battling each other for the biggest account and falling asleep on couches after sipping Canadian Club all afternoon. While we don’t judge the agencies that do live that life, that’s not what we’re about here at Kameleon. You should also note that Mad Men really has nothing to do with marketing, especially as it relates to digital tactics. Kameleon is a digital marketing agency with expertise in search engine optimization (SEO), a far cry from tag lines and radio spots – although we can certainly help with those, too. And since we’re a smaller agency, there are no internal politics or account wars. Our only focus is helping you achieve your business goals through strategic, affordable marketing. Building an agency on creative chops alone might work in the short term, but it certainly doesn’t retain the kind of business that we value. There’s a reason we’ll never try to sell you a $100,000 project you don’t need: we care about your business and value long-term relationships. A marketing agency like Kameleon can also easily cross over into advertising, but very rarely will you see an advertising agency excel in marketing. We specifically work with local clients because we prefer to do something that matters rather than just collecting giant retainers that vanish into thin air after a year. Yes, we are laser focused on San Diego digital marketing, but we also keep an eye on the bigger picture in a very tangible sense. Marketing is not just a matter of employing tried and true tactics while being on the lookout for the next big trend; a big part of our job is to build trust with our clients and be genuinely passionate about growing their respective businesses. In doing so, we’re not just selling services, but building a stronger business community here in our beautiful city. We can handle just about any client that comes our way, but our heart is here in San Diego and so is the majority of our client roster. We usually work with established, San Diego-based businesses that have a great reputation in the community and would like to be “amplified” in a digital sense. San Diego has meaningful, impact businesses of all types, from aerospace to bioengineering and beyond. These companies are doing great things for the human race and deserve a dedicated marketing agency. As a digital-focused agency, we employ left brain marketing to elevate your messaging and put your business in front of the right audience. This involves thinking outside, inside, and all around the box. We take the time to learn your business and develop a strategy that you can invest in with confidence. You will also be happy to hear that you can see big results locally without having to pour money into a TV ad that you can’t truly track or measure, much less adjust on the fly. SEO builds lasting results, and while many SEO agencies charge as much as creative agencies, that’s not how we roll. Our expertise allows us to come up with a strategy that delivers ROI without a gargantuan budget. We’ll work with you to proceed at a pace and process that makes you feel comfortable with your investment. In a recent study, 61% of marketers said improving SEO and growing their organic presence was their top inbound marketing priority. Choosing to do things the old fashioned way with expensive advertising is no longer necessary in the digital world. Moreover, television, print, and radio ads simply aren’t scalable in the way that SEO is. With the right SEO strategy, you can see your website traffic and your success margin grow over time. SEO can also strengthen your overall brand messaging and the engagement that you see from customers and prospects. No smoke and mirrors here. Kameleon makes every part of its process transparent, because we know that our way works. You can view multiple case studies on our website featuring companies that have chosen us to be their San Diego SEO consultant. Some businesses choose to hire a digital marketing firm that’s not local because they’re bigger, cheaper, or made a great pitch. While none of those are bad reasons to choose one agency over another, why go outside of the San Diego area if you don’t have to? We know San Diego inside and out. 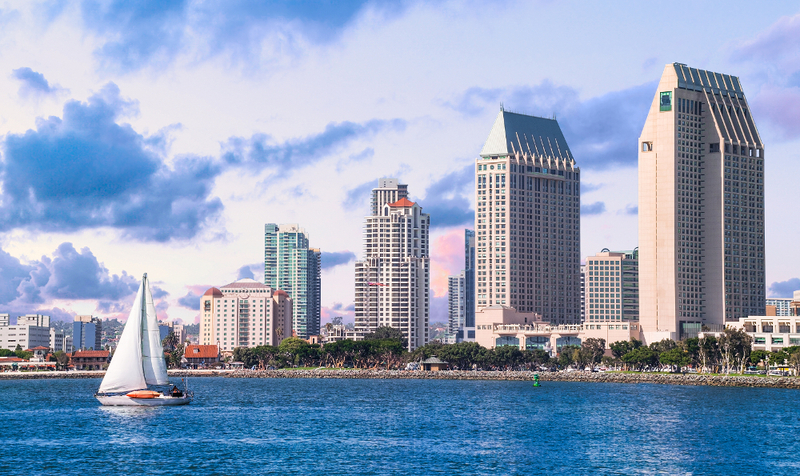 We care about the businesses that call San Diego home. And keeping your marketing consultant local doesn’t have to mean keeping your marketing local. We’re here to think as big as you do. Contact us to take the first step toward better marketing. In the age of digital marketing, online visibility is a top priority for just about every small business. How will your company be found in the vastness of the Internet? This article lays out why SEO for small businesses makes sense. The two most prevalent tactics for driving web traffic are SEO and paid digital media. Many small business owners make the mistake of overinvesting in paid media while ignoring its sustainable and cost-effective counterpart. Before you throw money at paid media, consider SEO as a viable alternative. 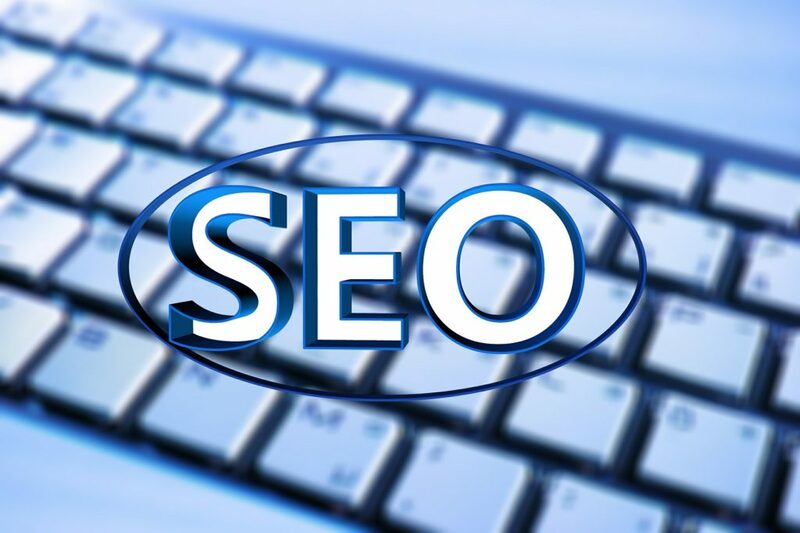 SEO, short for search engine optimization, is a way to attract customers online, organically. They are searching for your products or services, and you are tailoring your website content to respond to their search. The end game in SEO is to try to rank as highly as possible on Google and other search engines for keywords or phrases related to your business. By ranking higher, you are drawing in higher quality leads and building trust in your brand. What all of these things have in common is that you pay for them, just like you would for a traditional billboard, print ad or TV spot. In SEO, you do not pay for a spot on Google. Instead, you earn it. Paid media is like picking a fish from the seafood counter at the grocery store, whereas SEO is more like going fishing with a line and bait. • There are often unrealistic expectations for immediate return. • Deep strategy is needed but often neglected. • There are throwaway costs, such as accidental or non-converting clicks. • The competition in PPC for top keywords can be intense and unaffordable. • Results are independent, not incremental. • Strategy testing happens on marketing dollars. • The investment is ongoing – if the money stops, the leads stop. Both SEO and paid media require relatively high levels of expertise, which makes SEO instantly more affordable because you are only paying for the strategy and implementation rather than the strategy, implementation and ad space. And while paid media comes with a strong possibility of failure, SEO is an opportunity to carve your own success. SEO does have notable up-front costs in terms of optimizing your website and setting the foundation, but from there, a fixed budget of even $1,000 per month can go much farther than that same budget will in paid media. SEO’s affordability is a big reason why it’s so ideal for small businesses. It also counters the “switch on, switch off” nature of paid media by allowing you to build on your results. The $1,000 you put toward SEO in July 2017 will still work for you in July 2019. It’s like having a living, breathing online advertising campaign that gets better each year. There’s a common misconception that SEO is labor-intensive. It can be at the start, but that’s what we’re here for as a digital marketing agency. And once the basics are in place, the complexities of SEO itself begin to break and the strategy becomes relatively straightforward. SEO is particularly helpful for any brick and mortar business selling to consumers. We’re talking about independently owned restaurants, bars, coffee shops, dance studios, museums and the like. For these types of businesses, winning 10 or 20 new customers brings an increase not only in revenue, but also in market share, as you are simultaneously taking those 10 or 20 customers from your competitors. 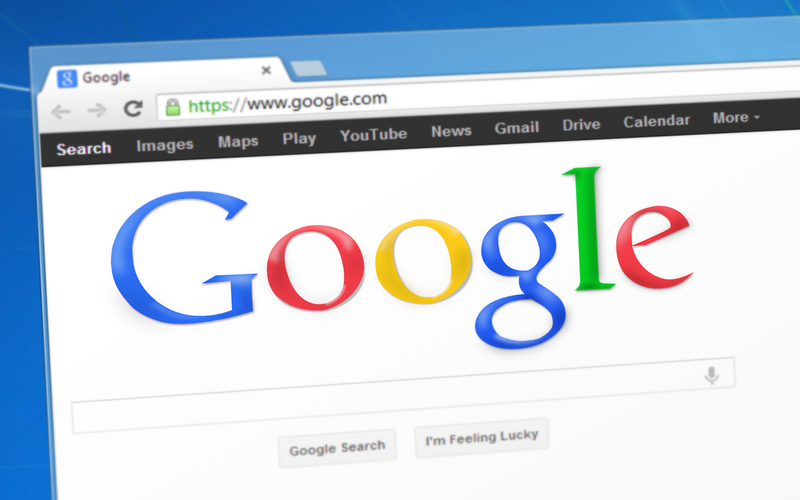 In the instant search-and-find age, one of the easiest ways to get people through your door is to show up at or near the top of a Google search. The locality and affordability of SEO is a perfect match for brick and mortar, and when you factor in the brand loyalty, repeat business and word of mouth marketing that follow when you deliver a great customer experience, you’re getting tremendous bang for your buck with SEO. As millennials become the dominant consumers, brands are adapting by developing a strong SEO strategy. After all, they are the ones who grew up with the Internet at their fingertips. In a way, millennials built digital marketing without knowing it. What makes millennial consumers different from previous generations is that they want to be spoken to, not sold to. This is why the arm’s race for SEO is in full effect; brands are seeking to position themselves so that millennials can easily find them. And since SEO builds over time, the brands that get ahead will be the main players for years or even decades to come. We mentioned the “throwaway costs”–clicks that don’t really matter–in paid media. When you align your SEO strategy with a winning content strategy of keyword-focused blog articles, you can dramatically enhance the quality of your leads. The people who come to your website through organic SEO are more likely to convert, because you appeared in front of their eyes at the time they were searching for your products or services. As you create keyword-focused blog articles, your visibility grows even larger, as does the impact you have once people come to your site. If you have done either SEO or blog content in the past, there’s a good chance you didn’t see the results you wanted. The key is to do them both alongside each other. SEO informs blog strategy, and blogs add fuel to SEO strategy. The most important thing to realize with SEO is that it takes time – and that’s a good thing. Paid media can deliver fantastic results overnight, or it can swing the other way and zap your marketing budget overnight with nothing to show. We measure our SEO strategies over the course of 6-12 months. At the 6-month mark, we usually start to see momentum build, and after 12 months, the results are really accelerating. In cases where the SEO strategy was severely lacking or missing altogether, we have even seen noticeable results after just a few months. Is your small business stuck in the SEO vs. paid media debate, or are you unhappy with your results in paid media? Let Kameleon Advertising simplify SEO for you, so you can start driving ready and willing customers to your website the organic way. We will take the time to understand your business and objectives before giving our recommendations, and can manage your SEO on your behalf while delivering monthly reports that make it easy to track our progress. Contact us today for a free SEO quote and to learn more about why SEO for small businesses makes sense!